The cloud computing technology has accelerated shared services in the government and private sectors. 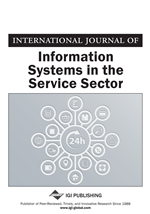 This paper proposes a research framework of critical success factors of shared services in the aspects of strategy identification, collaborative partnership networking, optimal shared services process re-designing, and new policies and regulations. A survey has been employed to test the hypotheses. The test results indicate that clear vision of strategies of shared services, long term business relationships among shared services partners, business process re-design, human resource structure re-design, effective governance and service center for shared services, effective cost distribution scheme, and ethical code and access control for shared services significantly positively contribute to the success of shared services. The cloud computing technology has accelerated shared services in private enterprises (Leavell, 2006; Rolia, Cherkasova, Arlitt, & Machiraju, 2006), the healthcare industry (Topacan, Basoglu, & Daim 2010; McDowell, 2011), and the government sector (Janssen & Joha, 2006; Williams, 2006; Almutairi, 2008). Shared service is the standardization and consolidation of common functions across multiple organizations to reduce information process duplication and increase information and knowledge sharing. The cross-organizational dimension of shared services makes up distinctive characteristics in contrast to other contemporary management practices. Many organizations have discovered that implementing shared services requires tremendous organizational support to make shared services workable for their specific situations (Rison, 2005; Wolf & Mujtaba, 2011). Services for common functions in individual organizations can be shared to reduce business process duplication and increase knowledge sharing through IT supported standardization and consolidation of these service processes (Spohrer & Kwan, 2009; Targowski, 2009). Generally, accounting and financial management, human resources management, acquisition transactions, and customer relation management are the designated lines of business processes for shared services. Shared services are often mistakenly considered to be outsourcing. In fact, the differences between shared services and outsourcing are significant in many aspects (Sako, 2010). Overall, shared services bring in long-term stable competitive advantages, while outsourcing involves much uncertainty (King, 2006). In terms of general organizational structure, the shared services center, the provider of shared services for the partner organizations, is formed and governed by the partners, while the relation between the service provider and the outsourced firm in outsourcing is bilateral. The major strategies behind shared services are long-term cost saving and knowledge sharing beyond sourcing business processes for the short term. Effective shared services are achieved by standardization of processes to reduce process duplication across the entire shared services network. Human resource management, coordination of the shared services network, and risk sharing in shared services are unique to outsourcing. Table 1 shows a comparison of shared services and outsourcing.